Extended Car Warranty | Are Extended Warranties a Scam? An extended car warranty is a product that extends the term of the original warranty provided by the manufacturer of a vehicle. Legally, only the manufacturer of a product can offer an "extended warranty" and refer to it as such. However, many third parties sell "vehicle service contracts" that give you the same type of coverage for a much lower price. Do You Need an Extended Car Warranty? Now that cars are extremely reliable and routinely go over 100,000 miles you may feel a false sense of security. However, due to all of the advanced technology, when repairs are needed they can be shockingly expensive. CARCHEX is trustworthy, up front and honest about the coverage and provides a fair cost plan that is best for you. If you are leasing and covered by the manufacturers warranty - It is a scam for a dealer to sell you a plan! If you have determined that you need an extended car warranty, we highly recommend the CARCHEX family of extended warranty products. An extended car warranty is a product that extends the term of the original warranty provided by the manufacturer of a vehicle. Legally, only the manufacturer of a product can offer you an extended warranty and refer to it as such. However, many third parties sell "vehicle service contracts" that give you the same type of coverage for a much lower price. Each extended warranty contract is slightly different and may not exactly replicate the manufacturer's original warranty. There are different levels of coverage that you can purchase as well as different deductible options. There can be a lot of confusion and opportunities to make mistakes and buy the wrong coverage. In a nutshell, any warranty is insurance against future high cost repairs. You pay a known upfront cost so you can avoid getting hit with unexpected expenses when something breaks. They are available for both new and used cars. Extended vehicle warranties are the most confusing "product" car dealers sell. The language is tricky and difficult to understand. We are here to clear it up for you. There is a large profit for the dealership in this "product" that they almost force on you, so you can expect high pressure sales tactics. Buying extended coverage from a reputable third party company instead of the dealership will always get you a better deal. The level of protection available ranges from the least expensive "big ticket item" coverage to the most expensive "bumper to bumper" plans. We have done research in this area. We have found the companies that offer the most complete coverage at the lowest prices. Reviews are below. We will discuss the unique features of the CARCHEX compete model. Your premiums are deposited in a "claims reserve account." It is insured in case the administrator goes belly up. Never buy an extended warranty at the dealership - You will pay too much! Never buy an extended warranty on price alone - Avoid ultra cheap plans. Always review the warranty contract before buying. The dealer's glossy brochure is not a contract! Get quotes before going to the dealership. Get multiple quotes to compare price and coverage. If you can't find the company profile at the Better Business Bureau, don't buy from them. Just like buying a car, I always encourage shopping around for the best price. The CARCHEX "compete" model is like shopping around. They offer coverage from multiple top tier administrators including their own products to ensure the highest level of coverage at the best price. Ignore terms like "Bumper to Bumper" which is misused and abused. Every extended car warranty company has their own definition of the term and it will not match yours. Get the right coverage for your car and fully consider what they are buying. An "extended warranty" does not mean a golden umbrella of protection that covers all. Read the contract, understand it and get help if needed. No plan covers standard consumable items such as tires, batteries and windshield wipers. Don't expect coverage for glass, lenses, lights, trim, upholstery or paint. 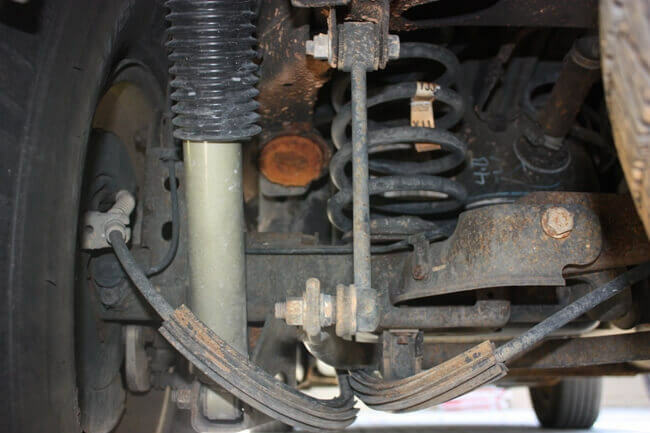 Plans won't cover exhaust systems, brake pads and rotors, shock absorbers and similar items. These items are standard exclusions, do not be alarmed. Some plans have benefits such as towing, roadside assistance and car rental reimbursement. When they do, you must read the fine print carefully. These benefits typically don't kick in until the manufacturer's warranty has expired. Due to inflation, prices for extended car warranties will go up the longer you wait and the more mileage that you have on your vehicle equals higher cost. Never wait until the manufacturer's coverage expires, buy an extended plan with it to get a better extended plan. Only buy coverage from companies with solid financials so they can actually pay your claims. The news over the last few years is littered with stories of companies that went under and left policy holders with worthless paper. Car dealers will tell you that I'm making money with scare tactics. In reality, I'm uncovering tricks that will save you money! Limited Time Offer: CARCHEX is offering $100 off all policies for CarBuyingTips.com visitors until February 28. The wrong extended car warranty for a new car equals disaster and despair. For example, getting named component coverage instead of an exclusionary coverage. When repair isn't covered there is only pain. I recommend that you buy auto warranties directly from the source. Most online car extended warranty contracts are more affordable and have better coverage than the dealer's offerings. Many extended car warranties only cover mechanical breakdown, not wear and tear. Most failures that need repairs can somehow be traced to "wear and tear." It is important that your plan covers both. Most cheap plans will only cover mechanical breakdown. Most parts wear out and don't necessarily "break." This fact gives the administrator an out. I never recommend only buying mechanical breakdown coverage. It is a waste of money. To ensure sufficient funds are available to pay a covered claim, choose an administrator with a highly rated insurer for their "Claims Reserve Account." Choose an auto extended warranty that starts the clock when you buy the car, not the coverage. Re-insurers backup the insurance that protects the warranty. Consider it as fail safe. 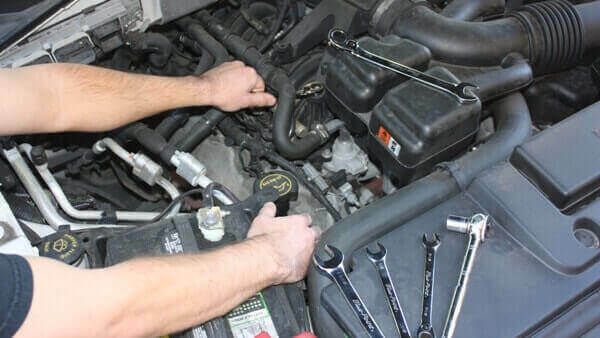 Some auto warranty contracts charge deductibles for every part repaired. Pay more and get $0 deductible. Unhappy with your plan and have not made any claims? A 100% refund should be ready before 30 or 60 days. Some auto warranties end when you sell your car. Choose an auto warranty that allows you to transfer it to the next owner. This will help your car's resale value. Most auto warranties allow you to buy later. But don't wait too long, buy at today's lower cost to protect against increases. If you have ABS brakes, verify your auto warranty covers them. Avoid clauses like "This contract does not cover overheating regardless of the cause." Get a policy that includes car rental reimbursement. The benefit is for repairs covered by the warranty. Still covered by the manufacturer’s warranty? This is only a benefit if the dealership provides it. Ditch the pitch and ask them to show the contract! I highly recommend a policy that covers towing. Towing may be an expensive part of the repair process. Just like car rental reimbursement mentioned above, it is only provided for covered repairs. Many of the best policies include Trip Interruption reimbursement which protects you from meal and lodging expenses incurred due to a covered breakdown far from home. Typically, you have to be at least 100 miles from home to get the benefit. Check the policy limits and don't check in to the Ritz and expect a reimbursement! Really bad warranties force you to have repairs done at the dealer where you purchased the warranty. Slightly better plans, require you to use a brand dealership (ie. take a Ford to a Ford dealership) for covered repairs. Very inconvenient, so go for the better warranties that allow repairs at any ASE certified shop. Some warranties make you pay out of pocket for covered repairs. Since you need to be reimbursed, it gives them room to weasel out of paying. Even if they do pay, this can cause a financial hardship in the short term. Choose a warranty that pays the repair shop directly. Avoid extended warranty companies that cold call. These tactics are usually for lower quality policies and scams. 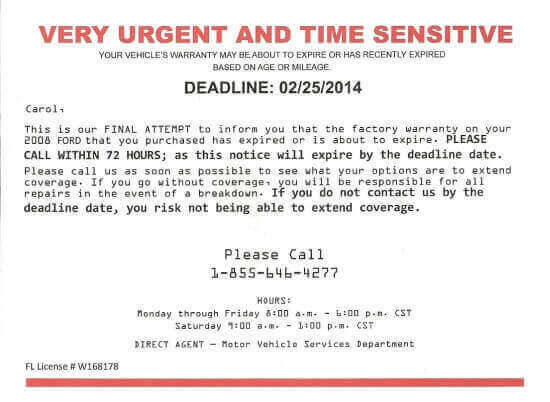 Beware of those infamous post cards or letters that warn you about your coverage expiring and demand you to call them. Beware of "Too Good To Be True" ads for coverage. Just like everything else in life, if it sounds too good to be true, it probably isn’t true. Watch out for companies who trash their competitors, a good company will focus on how good their coverage is. Many manufacturers are advertising very high mileage coverage. Don't get suckered in by the hype. You should focus on the word "limited." These are not full blown bumper to bumper warranties as they would have you believe. They are limited to the power train and do not cover the parts most likely to break. 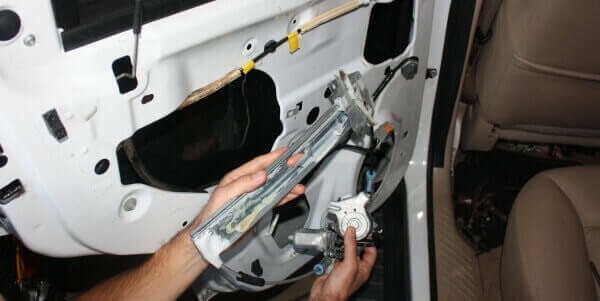 You should consider protecting your investment with a "bumper to bumper" extended warranty to cover these holes left by the manufacturer's limited coverage. Don't let companies weasel out of paying for repairs by maintaining your vehicle according to the manufacturer's schedule in the owner's manual. You must keep up with all the required maintenance. 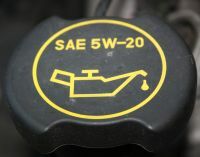 Make sure to perform oil, fluids and filter changes on time. Be sure to use only approved parts and fluids. Keep all receipts as proof that the proper maintenance has been performed. Some policies have maintenance logs in their contract books where you log each service performed on the car. Use the active manufacturer's warranty for repairs and go to a dealership. The extended coverage plan does not pay for repairs until the original warranty has expired. When you need to make a claim, you want the process to be as smooth and hassle free as possible. Be prepared in advance and read our advice on the best practices for getting your claim approved.